It takes a life time to achieve the above, and as with many professions, it’s a learning experience that never truly ends as every vintage is a different vintage, every day there is a new producer, new appellation, new vinification technique. Keeping up with the trends is mission impossible. So what does it really take to be a sommelier? What my mentor always told me, and what I always say to those under my mentorship is to study, study, study and study more and more. 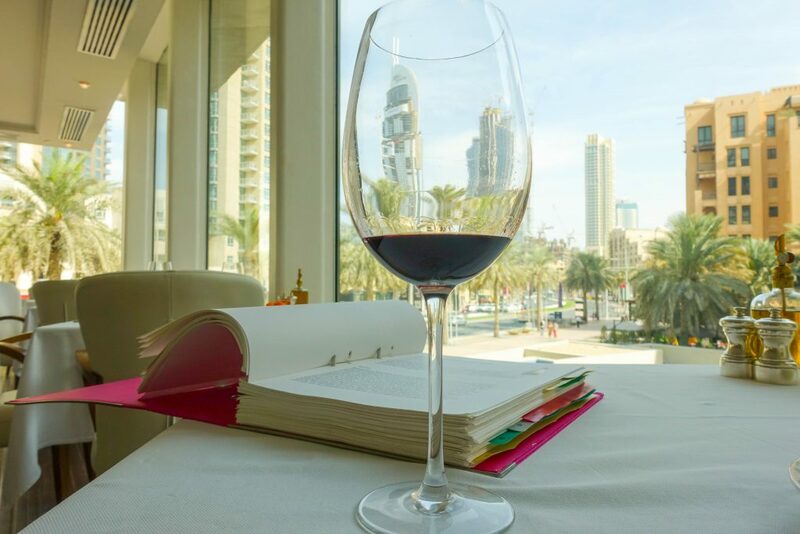 However the studying process is not enough as you need to train your palate, you need to be able to travel the world visiting as many vineyards and wine exhibition as you can, working long hours, and inevitably marry your personal life with your professional world. So how do we know if we are fit for this job? 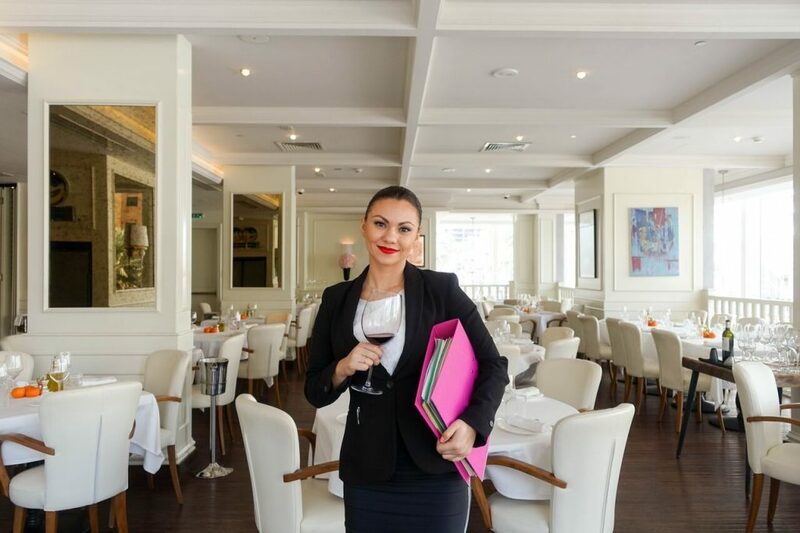 TastedAndRated put this question to Anka Lazaroni, Sommelier at La Serre Restaurant, an emerging talent in this world who decided two years ago that wine was to be her career, life and best companion. She also has two essential qualities that are extremely important in this world; ethic and modesty. Those qualities allow you to understand the job of the winemaker behind the bottles before you judge them. This means you don’t take advantage of suppliers simply because you buying the wines from them. It also allows you to build a relationship with the clients to prevent their ability to try to always upsell the most expensive bottles, makes you a role model for the staff you train and allows you to bring the same to your world. When I first meet Anka, she exudes an energy that reminds me of my own youth. The start of my career was in a completely different world than that of today but she demonstrates the same genuine approach, that she recognizes is a drop of water in the ocean in terms of her knowledge and capabilities. LUCA: How did you fall in love with wine? ANKA: It happened two years ago, while on duty as bartender at La Serre, Sandy El Hayek, the former GM, asked me to join a blind tasting with the floor staff. Sandy often used to do such training sand this time there were 7 glasses of wine and grape varieties written on a piece of paper for each staff member. On this occasion, the game was to associate the grape variety with the glass of wine tasted. By everyone’s surprise I was the only one to score 7 out of 7. 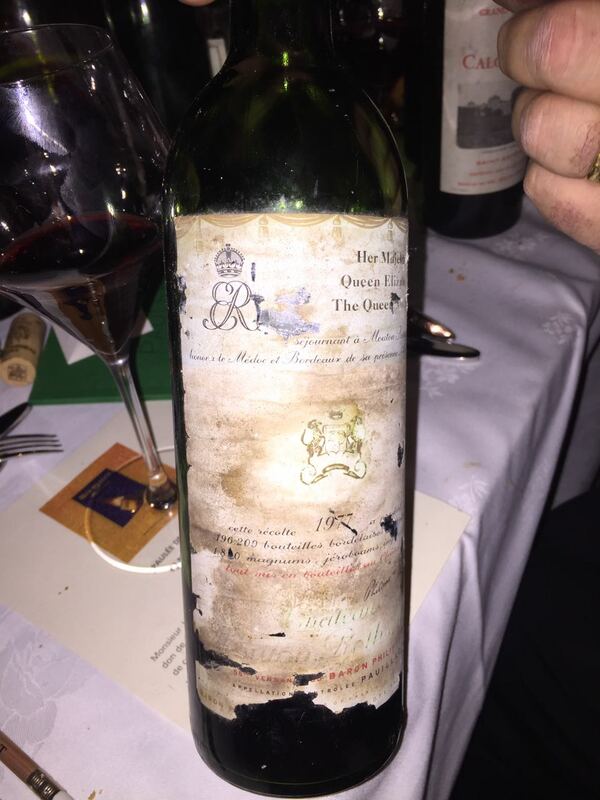 That night Sandy came to me with a nice glass of Opus One and asked me if I wanted to join the floor staff and try a career in the wine world. Until then I had never been interested in a career in the wine industry, but I always enjoyed a glass of wine in my free time. However I was in limbo and still deciding what I wanted to do with my life. I had just come to Dubai not even a week before, after my mum, who also works in the hotel industry had tried to convince me to join one of the hotel’s back in Romania. But I decided to accept Sandy’s offer and the day after my wine journey started. I first started learning the food manual, service standards, and then all the wines on our list. The days were passing by and I was proving first to myself then to my company who believed in me that I really had a great interest in the wine industry. I started studying with the help of many people, till I was finally enrolled in WSET level 3, after passing the level 2. At that point things got serious, level 3 is incredibly challenging for someone like me who had just started in this world not even a year prior. Sandy suggested I enlist a personal teacher, who could spend time educating me and accelerate the process, but I politely declined Sandy’s help as this was a chance for me to finally convince this world of my ability. I was also becoming more and more enjoyable than when I had studied for my business management school back at home. It was not easy at all. Between the long hours at work and the hours studying at home I was under lots of pressure, but when the results of the test came, I was the happiest person in this world, not because of the high score, but because I finally understood that wines would become my life. LUCA: What challenges did you have to overcome at the beginning? ANKA: The first great challenge was when I found myself alone in the restaurant after the sommelier left. I was petrified to be without guidance at that time as I had the responsibility of the full wine service and building the wine team. So I started curate all of the information of the 278 wines that were in our wine list., starting from the testing notes to the information of the winery and the details of the terroir. It was useful for my education but could also be used by anyone in the team to enrich their knowledge and give them the necessary training. The Second challenge was my very first wine trip to Spain. I didn’t know what to do. I had a to taste many wines and take notes of the wines, but I had no idea how to write it correctly, and my wine vocabulary was also very limited. I knew then that participating in wine events and visiting the various wineries around the world would undoubtedly help my education, so I worked hard in the restaurant to allow myself to spend time on those activities. Thanks to professionals like Stephen Towler, Sandy and many more that pushed me to pursue those events I’m now feeling more confident and I’m building my own little book based on my wine tasting notes and diaries of my wine trips to Vinexpo Bordeaux, ViniSud, Burgundy, Lebanon and Spain. LUCA: Which wine trip did you enjoy the most? ANKA: Burgundy. You really understand the true meaning of terroir. We tasted many wines from the most prestigious appellations and producers and at one of those tastings we had lined up three wines that were literally produced next to each other. 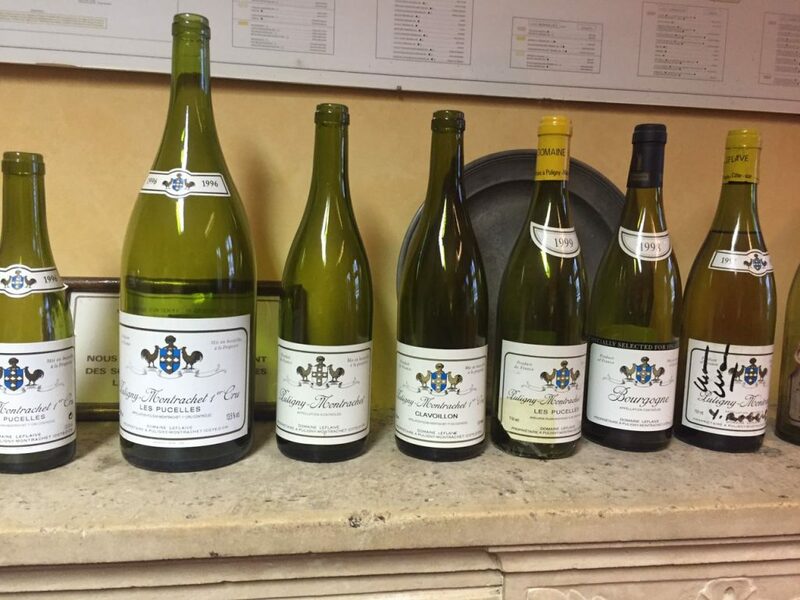 We had Chassagne Montrachet, a wine that needs to be enjoyed and understood, better if you sit alone with it and you discover its fascinating virtues. Then we had Batard Montrachet, the big fat guy, very generous as he gives you everything he has. The third was Le Montrachet, the strong lady with character and elegance. Three wines with three amazingly different stories. We also attended La Paulée de Meursault, where producers celebrate the end of the harvest with their community, traders and clients. It’s a more than 500 person lunch, hosted at the chateau Mersault where everyone brings their best bottles. Olivier Leflaive hosted our table and that would have been enough for me as I really admire his work. 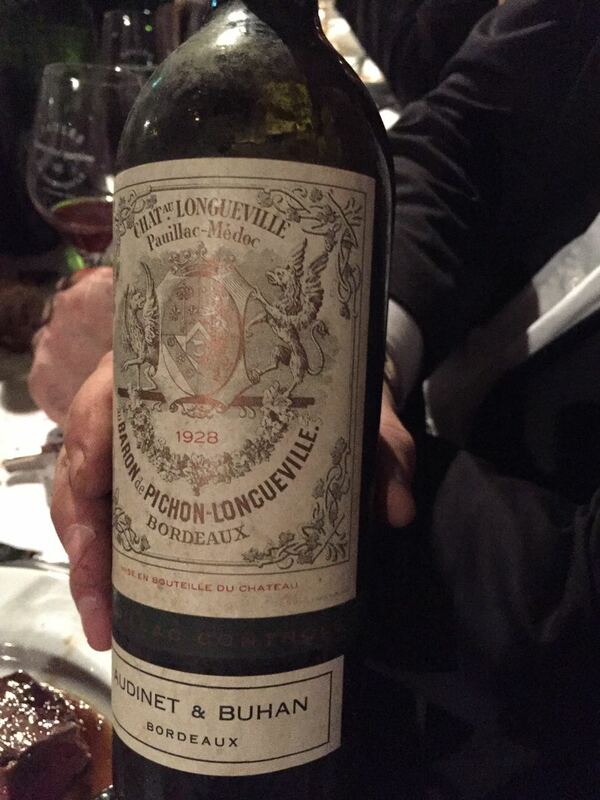 But then they start to open bottles such as Baron de Pichon Longueville 1928, Mouton Rothschild 1977, Chateau Calon-Segur 1964, Vega Sicilia Unico 2003, Cote Rotie Les Fumelles PJA 1985, Mersault 1er Cru La Goutte d’Or 1962 and 1970, Montrachet Olivier Leflaive 2000. I will never forget those moments and gems. LUCA: What’s next for you? ANKA: Definitely keep working as a sommelier and study for the Diploma of the WSET and then later enroll for the Master Court of Sommelier. I’ll soon publish my first book, called ‘The book from the eyes of a simple sommelier”, where I’m writing all the tasting notes that I built in La Serre, together with the diary of my first wine trips.